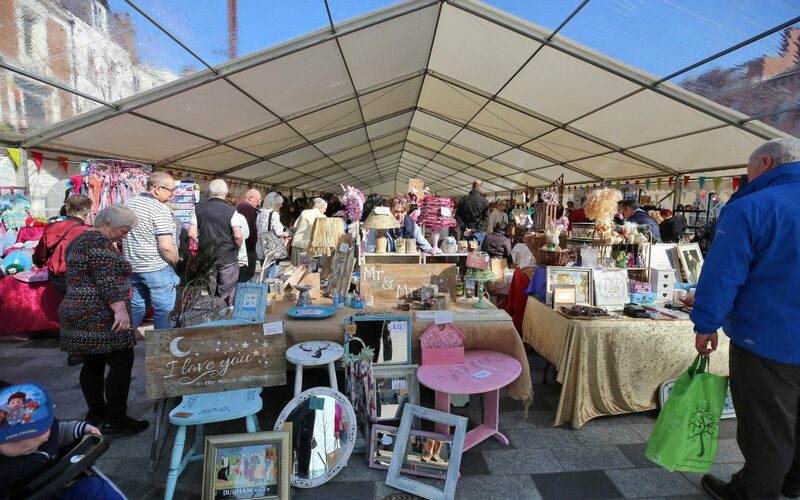 The ever-popular Chic Vintique Market returns to Stockton High Street, with over 40 traders traders selling everything from vintage clothing, homewares, antiques, and collectables to gorgeous handmade gifts and sweet treats. The event is FREE to the public and open from 10am – 4pm. There’ll be live entertainment and delicious food and drink available to visitors at this ever popular market. Changing facilities will be located in the Stockton Regeneration/Visitor Information shop which is directly beside the Marquee. Make sure that you stay until 1pm, when the magnificent steampunk Stockton Flyer rises from its plinth in all its glory. The mechanical automaton train is larger than life, and pretty loud, too.